After a long day of going around the streets of Davao City and nearby Samal Island, I wanted to press the night button for me to be forced to have a relaxing sleep. 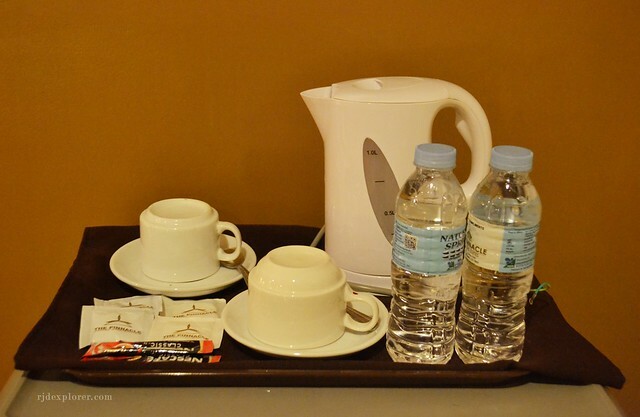 I let The Pinnacle Hotel and Suites to be my glamorous host, all I needed was a rest, preferably a good one. It is located in the heart of the city, with easy access to some of the landmarks and destinations. The hotel has a total of 214 elegant rooms and suites, spread across Superior, Deluxe, Premier, Family, Deluxe Suite, Executive Suite, and the Pinnacle Suite. I was stunned by the spacious lobby, extended up to the third floor of the hotel. The guard, who regularly checks every guest passing by his area, instructed me to the front desk. What’s great about the transaction here is that they have separate queues for checking-in and out guests. My reservation was validated immediately with my keycard handed by the staff. No one accompanied me to my room as I was too fast and excited to be abducted by the bed. It was delayed a bit as the keycard given to me wasn’t working. I went back to the lobby to redo the activation. The moment I opened my room, I uttered immediately that I will stay in bed whole afternoon. 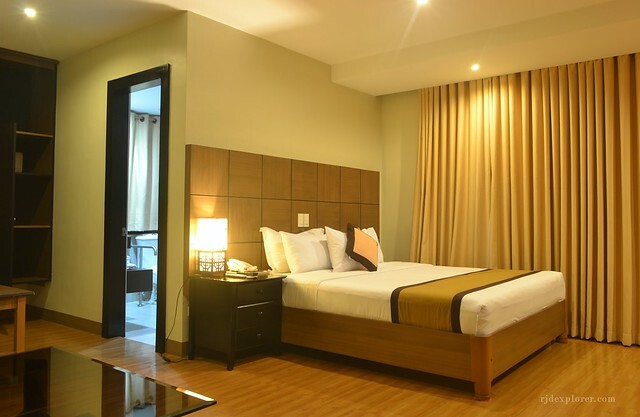 The Pinnacle Hotel’s spacious rooms adopt a modern luxury and residential vibe. All rooms and suites feature a king-sized bed with plush linens, own living room to accommodate visitors, a coffee and tea making facility, a mini fridge, and a flat screen cabled-TV. 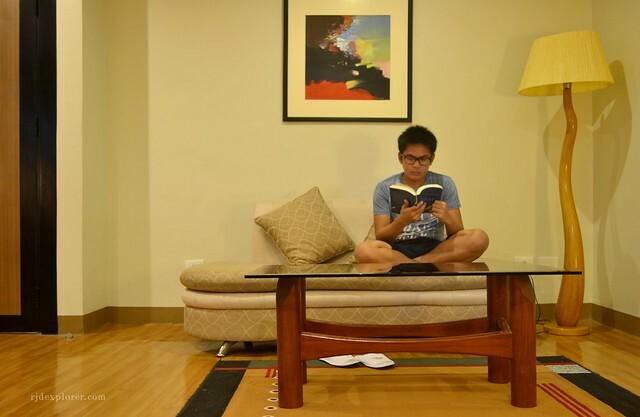 For business travelers who are not allowed to detach from being online, you will love the fast WiFi connections even inside the rooms. Aside from the rooms, Pinnacle is also home to ten function rooms that are great venues for meetings, conferences, receptions, and parties. Indeed one of the best options when it comes to business and leisure. If you’re lazy to get a dose of Davao City, the hotel can also serve as a place for fun with the presence of a wading pool, and a Jacuzzi. 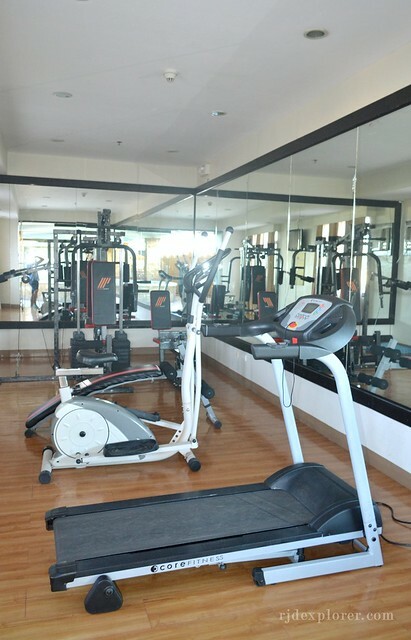 For travelers who regularly go to the gym, don’t skip those schedules on your program as they also offer free usage of their mini-gym. Café Frances, located in the lobby, will take care of your food needs providing you an all-day casual dining with their International menus such as Italian, American, and Filipino cuisines. 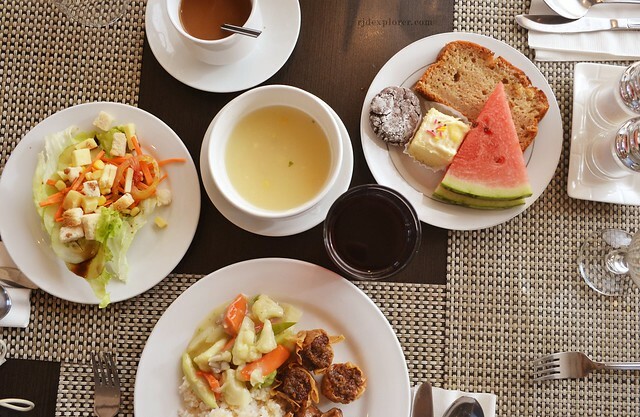 You can also have your generous breakfast buffet here, a hefty meal with a soothing jazzy music in the background. 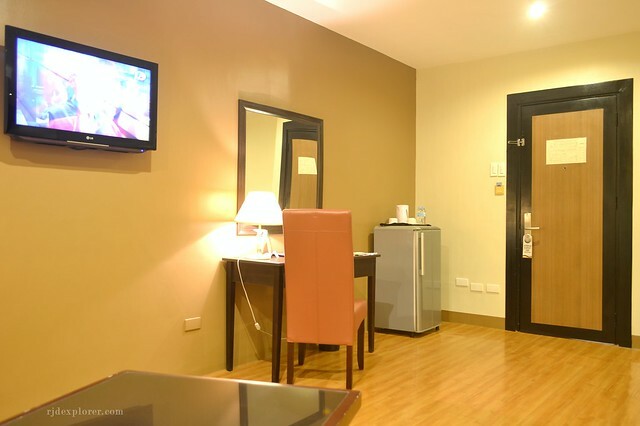 So for your next business trip or vacation, The Pinnacle Hotel and Suites is a great option to consider when visiting Davao City because of these five simple reasons: location, urban-designed spacious rooms, friendly staff, generous breakfast buffet, and leisure stay. 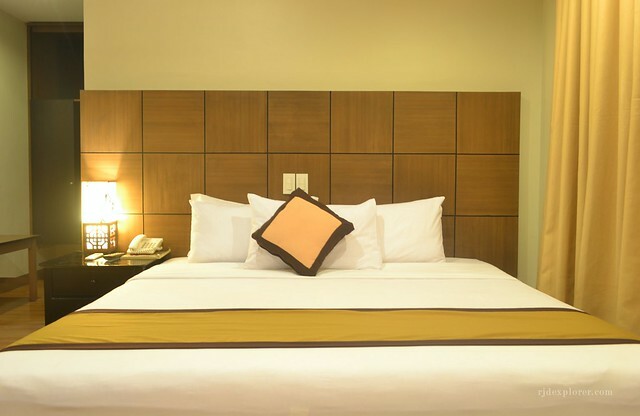 Enjoy the comforts of staying at The Pinnacle Hotel and Suites Davao by booking a room here.